I have always had a love for designer handbags ever since I can remember. The quality and craftsmanship is unmatched. I always look at a designer handbag purchase as an investment because the value of the bag goes up in price every year and can sell in the pre-loved market for what it was purchased for if you do decide to sell it in the future granted it is in excellent condition. You are guaranteed to get up to what you purchased it for if you keep the receipt, dust-bag, box and tags. This doesn't apply to all designer brands, just a select few. 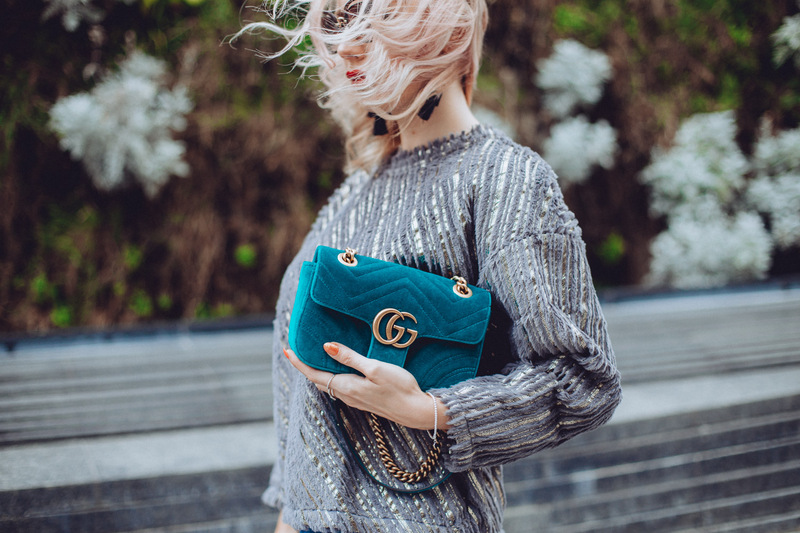 The top designer brands with the highest resale value are Louis Vuitton, Hermes and Chanel and within those brands, only certain styles hold their value. My first designer handbag was a Louis Vuitton Speedy 30 which I purchased for $895. I still have it and wear it to this day and it has almost doubled in value since I first purchased it 8 years ago – win! I will definitely do a post later showcasing my entire collection. Not a big collection, but definitely one that packs a punch with all the essentials. 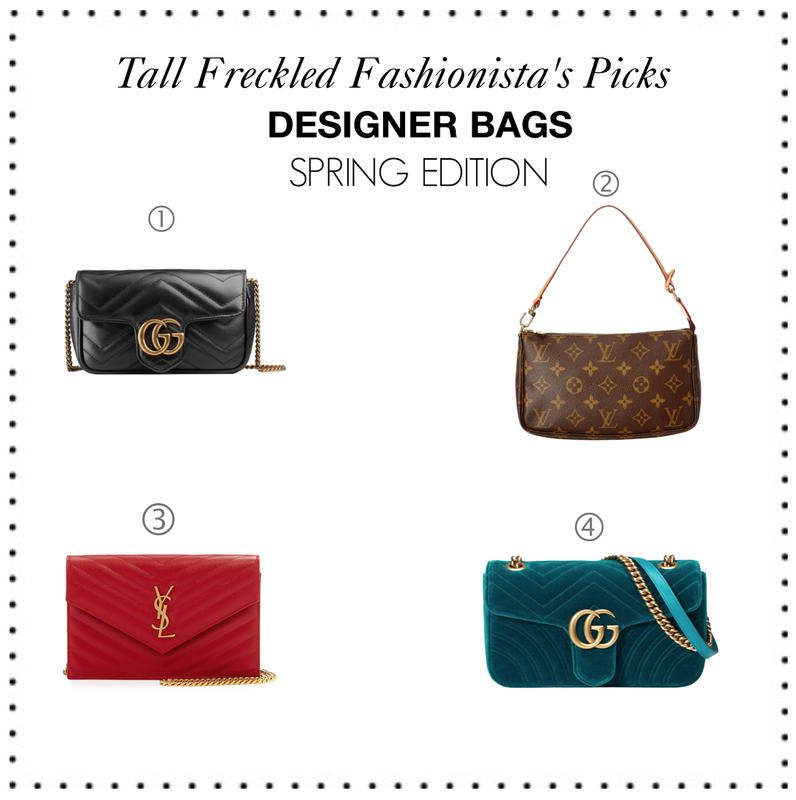 Below are a few of my MUST HAVES perfect for Spring at different price points. If you've been eyeing a Gucci bag, then this is the perfect entry level purse from the brand. Just like the name says it is SUPER small, but it will fit a decent size cell phone, wallet, coin purse and lippy and not much else which is all a girl really needs when heading out for a night out with the girls. I would definitely consider this bag a classic and one that will be relevant and will hold it's value for many years to come. Everything about this bag's color screams SPRING. 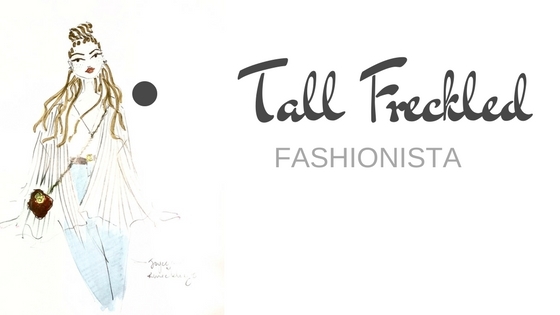 Although a trendy handbag and one that might not hold its value, it will definitely look amazing with neutrals. I can picture myself wearing a white flowy maxi this summer with this bag slung over my shoulder. Wait for it. The Saint Laurent cross body bag is definitely pricey for how big it is, but it's a super cute bag that fits quite a bit for its size. I recently received one as a gift for my birthday and love it. It's made out of a textured durable leather that will stand the test of time. I would consider this a timeless classic piece with a decent resale value. This bag is definitely one of my favourites. It's been around for quite a while and definitely an affordable starter bag. What I love so much about it is its versatility. It can be worn 3 different ways. 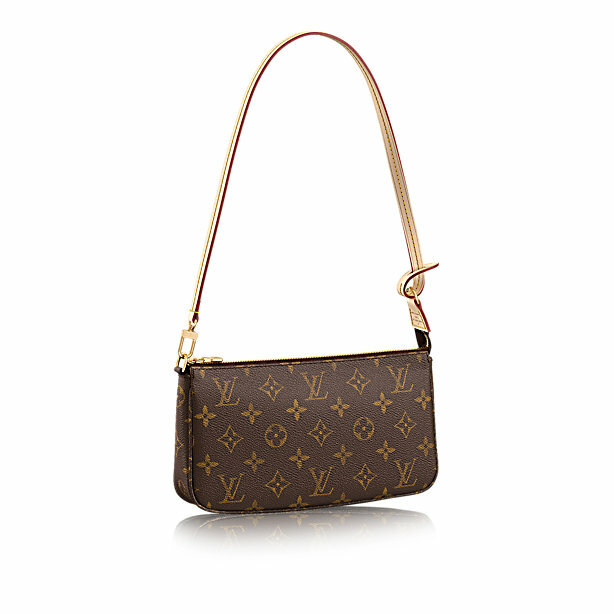 Add a Vachetta or monogram long strap to make it a cross body, can be worn as a wristlet or as a shoulder bag. It's also a durable and care free bag because of the canvas material. As I mentioned earlier, Louis Vuitton is one of the top 3 designer brands to hold it's value and is definitely worth investing in.